Here at GC, we don't like to judge. Especially since we're certain you're checking out this vaporizer for aromatherapy purposes to promote physical, physiological, and spiritual well-being *wink*. 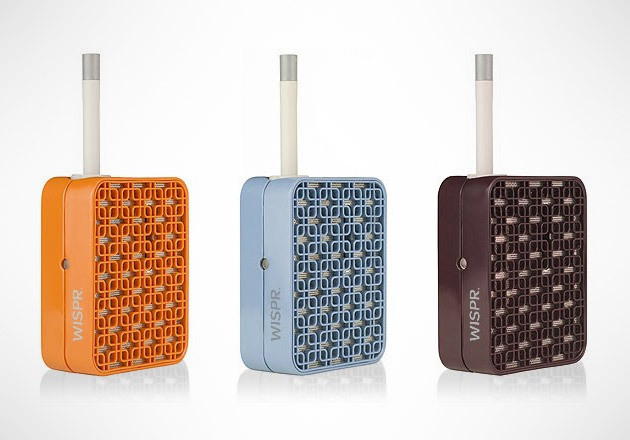 The Wispr Vaporizer by Iolite ($270) is a truly portable butane-powered vaporizer that fits in the palm of your hand and is easy to use. Features include a retro pattern facade, silicone pop-out mouthpiece, fast heating chamber, simple ignition system and a fuel gauge window.